World Hope had the privilege of serving in Nicaragua despite great challenges from the strict communistic government. 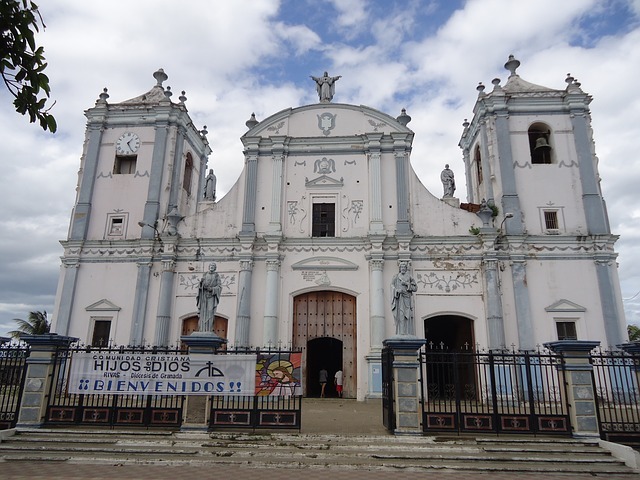 The main work in Nicaragua is in the city of Tecolostote. With the partnership of a missionary family already in the country, we worked with the after school program that is still operating and building outreach ministries for the rough neighboring towns. Tecolostote and the surrounding environs are heavily influenced by gang activity, drug dealings, and illegal prostitution. Our ministry still provides a safe place for these individuals to be freed from the strongholds that enslave them through learning about the gift of grace from Jesus and teachings of the Bible. Hope Church is thriving today under the leadership of a national pastor and continues to grow. It is encouraging to see and hear the stories of numerous people who have chosen life and hope in Christ. In addition to this, medical and surgical teams continue to see and treat hundreds of patients monthly. Liberty Baptist Church in St. Petersburg, FL, raised the funds to build missionary and guest housing on the Hope Center Nicaragua’s new youth camp site, which was completed in 2010. Please pray that this ministry in Nicaragua will remain strong and that our in-country leaders will remain encouraged as they pursue God’s plan for this city and nation. We especially want to recognize Paul and Thania Heier for making the Hope Center and Hope Church possible. Their sacrificial giving and going has resulted in an ongoing work that is still growing, winning souls to Christ, and caring for the needy. We are so blessed as an organization to work with true servants of God like Paul and Thania, and we thank them for helping World Hope be so impactful.